Shareholder disputes can bring businesses to a screeching halt or destroy a company’s reputation. When disputes arise, they need to be handled swiftly by a Houston attorney with a track record of success. Most shareholder disputes involve companies with a small number of owners, with all the owners having an important role in the business operations. One or more of the owners becomes dissatisfied with the others, usually over decisions regarding how money is spent by or taken out of the business. The shareholders may disagree over whether the business should be sold, or how ownership should change as responsibilities change and the company grows. Sometimes disputes arise between shareholders and company members that require experienced legal counsel to resolve. Shareholders and company members in limited liability companies are guaranteed certain rights under the law. If shareholders’ rights are not being respected, then those owners may have a right to seek damages or other changes to the business. The Texas Supreme Court noted that shareholder disputes are commonly associated with such tactics as (1) denial of access to corporate books and records, (2) withholding payment of, or declining to declare, dividends, (3) termination of a minority shareholder’s employment, (4) misapplication of corporate funds and diversion of corporate opportunities for personal purposes, and (5) manipulation of stock values. Ritchie v. Rupe, 443 S.W.3d 856, 879 (Tex. 2014). When disputes arise, shareholders have no statutory right to exit the company and receive fair value for their shares and often have no ability to sell their shares for fair market value. Id. When faced with a shareholder dispute, you need an attorney who can quickly understand and evaluate your legal situation. Closely held companies often have shareholder agreements that address issues like profit sharing, dividend payments, share value, corporate opportunities, fiduciary duties, and employment. Robert Burford and Brent Perry together have over 55 years’ experience in dealing with shareholder disputes. In D Bobbit Noel Jr. v Chief Energy and Devon Energy Holding, L.L.C., et al, Robert Burford (co-counsel with Gibbs & Bruns) represented Vinson & Elkins attorney D. Bobbitt Noel in a fraud and breach of fiduciary duty case against billionaire Trevor Rees-Jones, Chief Energy and Devon Energy. Noel had been a minority member in a limited liability company. His old friend, Rees-Jones, cheated him when he bought out Noel’s stake in a highly successful shale gas company, Chief Energy. After a several week trial and favorable jury verdict, the trial court awarded a $196 million judgment for Noel. Brent Perry was handling a shareholder dispute, Collins v. Martinez and CAROL Crane, in 2014 when the Supreme Court held that Texas law does not support “shareholder oppression” claims. In representing the plaintiff, Brent Perry identified various claims for misappropriation of assets and breach of fiduciary duty for the minority shareholder and was able to obtain a significant seven-figure settlement for his client. The right to vote on major company issues. Shareholders have the right to vote on events like mergers and acquisitions, corporate directors or LLC managers, and any other large changes to the company. The right to declared dividends. Shareholders own part of a company or corporation, and are entitled to dividends or profit sharing based on ownership percentages. The right to transfer ownership. Shareholders can sell their shares at any time, for any reason. The right to inspect corporate books and records. Regardless of whether a company is public or private, shareholders must be kept informed of finances. The right to sue for wrongful acts. If a shareholder believes directors or officers have committed wrongdoing, they can bring lawsuits on behalf of the company against the guilty parties. Texas minority shareholders have the right to assert causes of action for: (1) an accounting, (2) breach of fiduciary duty, (3) breach of contract, (4) fraud and constructive fraud, (5) conversion, (6) fraudulent transfer, (7) conspiracy, (8) unjust enrichment, and (9) quantum meruit. Any of these claims require an attorney who understands the important business issues and the laws that govern corporate and company actions. Often, shareholders in closely held companies want to dissolve the company and divide their interests or separate the company assets. Resolving these issues can require valuation of the company or its assets and determining whether a shareholder has damaged the company by transferring assets or unjustly enriching himself to the detriment of other company owners. 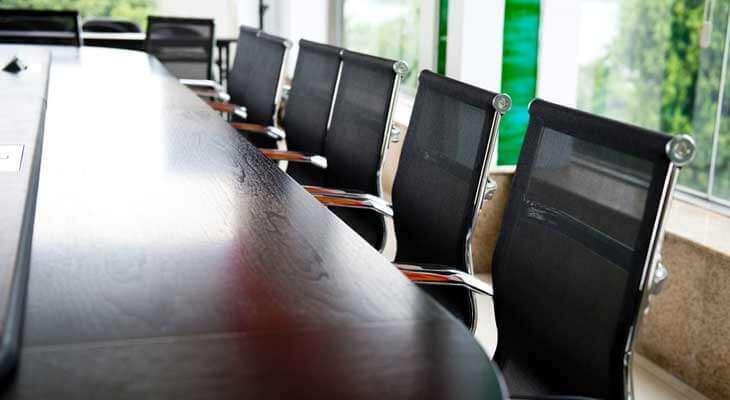 Resolving “freeze outs”, enforcing buyout agreements, and ensuring that directors and officers properly exercise their fiduciary duties are all common shareholder dispute matters. During shareholder disputes, the company or corporation may have legal counsel representing both the company and the shareholders. The best way to ensure your interests are being protected is to hire your own legal counsel. By their nature, shareholder disputes are incredibly complex. There are many parties involved and the existence of the business could be at stake. It is important to hire a shareholder dispute attorney who has extensive experience resolving the unique challenges presented by these types of business disputes. An experienced shareholder dispute attorney will also be able to determine the best course of action. Successfully resolving shareholder disputes means not only obtaining compensation for wronged parties or coming to an amicable agreement, but also preserving the company or assets shareholders own. The Houston business attorneys at Burford Perry LLP have over 55 years of combined experience working with shareholders to resolve legal disputes. We can help shareholders protect their rights while maintaining the success of the companies they invest in.